Are you interested in astrobiology, especially exoplanets? 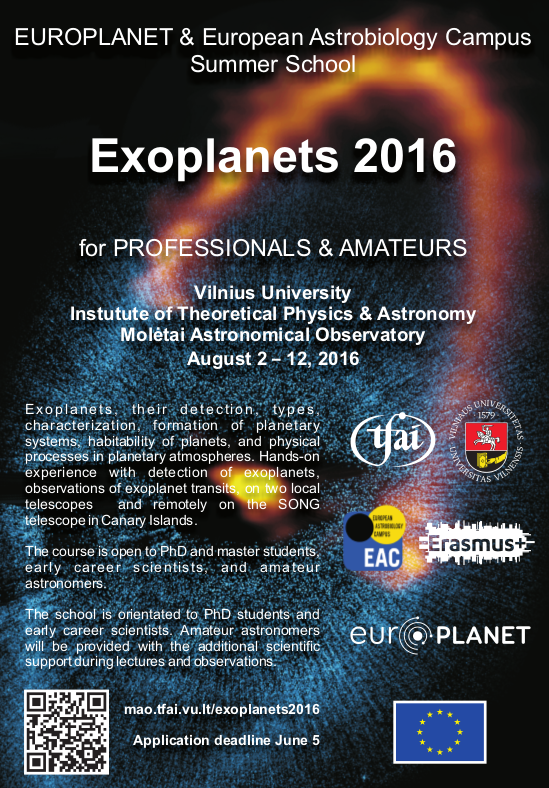 EUROPLANET and the European Astrobiology Campus are organizing a summer school on August 2-12, 2016 for PhD students and amateur astronomers. More information at mao.tfai.vu.lt/exoplanets2016.